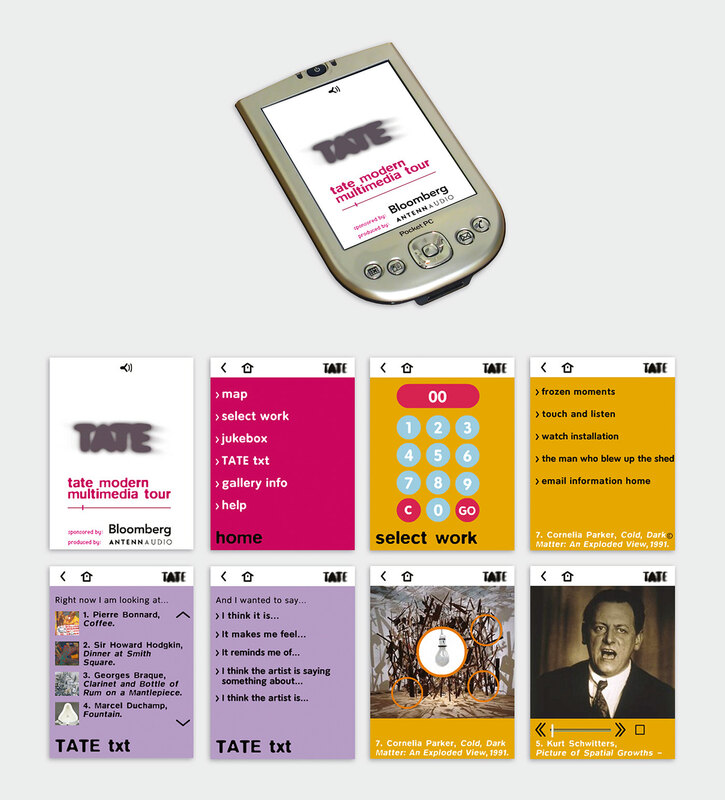 Problem: In May 2006, Antenna Audio commissioned on-IDLE for the interface and usability design for the interactive PDA Tours TATE Modern on London's South Bank. The interactive tour also had to be created with versions for hearing impaired and colour blind users. Solution: Using corporate brand guidelines, we programmed the interactive tour, designed the navigation architecture, iconography illustration, mobile interactive tour workflow information, performed the first server installation and implemented to mobile devices.